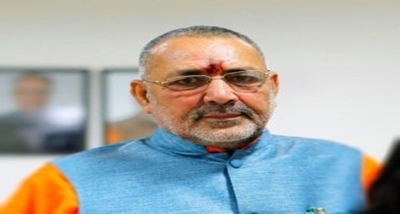 Minister for Micro, Small and Medium Enterprises Giriraj Singh today said that for the first time ever, the Indian Micro, Small and Medium Enterprises -MSMEs- are seen competing on the global level. Addressing the 15th Global Small and Medium Enterprises Business Summit in New Delhi today, the minister said, the procurement by public sector companies from MSMEs has been raised to 25 percent out of which 3 percent is reserved for women entrepreneurs. He said, in course of ease of doing business, the government has made it possible for new entrepreneurs to register themselves in just 3 minutes. He said financial lending, which was given to 11 lakh entrepreneurs from 2010 to 2014, has now reached to 17 lakhs. Mr Singh said, in the last four and half years, the goverment has created 19 lakh entrepreneurs who have provided employment to nearly 3 crore people. He also stressed upon the inclusion of the latest technology to deal with the trade deficit.